I consider myself a minor book collector. I’m not on the hunt for any super rare book like the kinds JP Morgan collected in his collection at the Morgan Library in NYC (think original Shakespeare comedies, histories, & tragedies from the 1600s, the Gutenberg Bible, etc), but I’m on the hunt for pretty (Instagram-esque) books namely, the Penguin English Library collection. These are books first printed in 2012 (so like 400 years later than JP Morgan’s collection) and many are out of print. I’ve been purchasing them online as booksellers list them, but there’s nothing like going to an actual store to purchase a book. 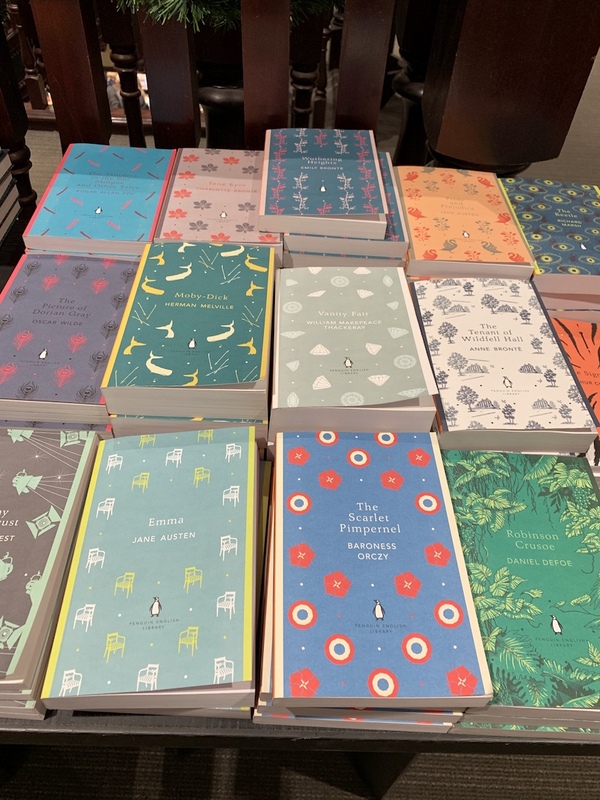 Since the collection is published by Penguin UK, I’ve heard if you’re lucky, you can find out of print copies at used bookshops around the UK. 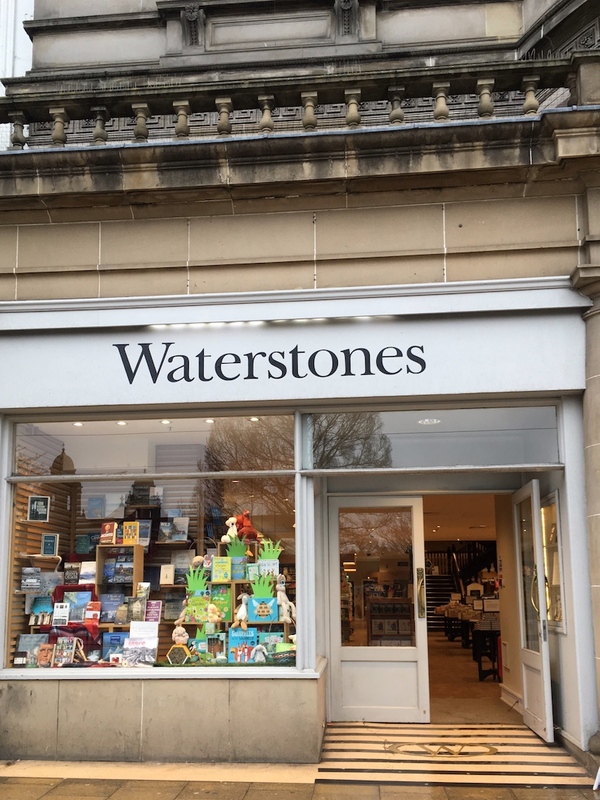 This is the bookstore you can’t miss in Edinburgh. And you really won’t miss it. 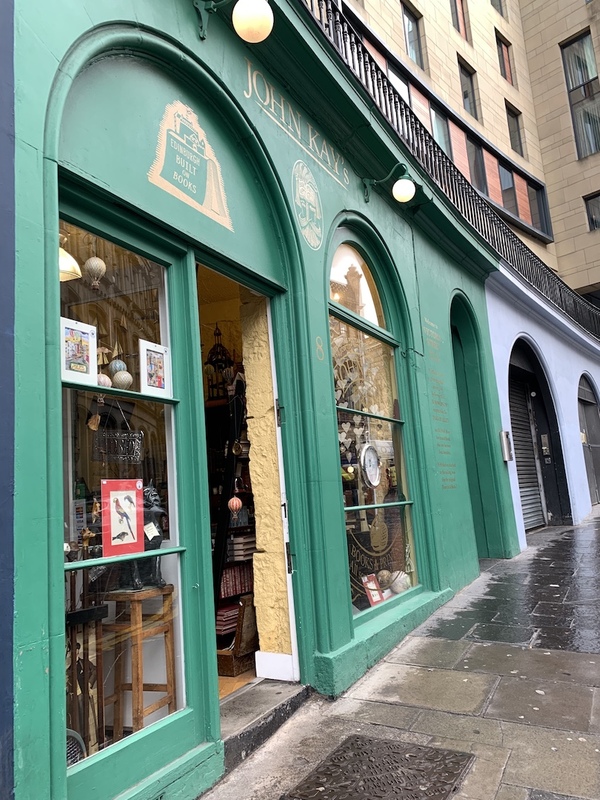 Chances are during your trip to Edinburgh, you’ll walk along Princes Street, one of the main streets in central Edinburgh and storefronts of many international brands. 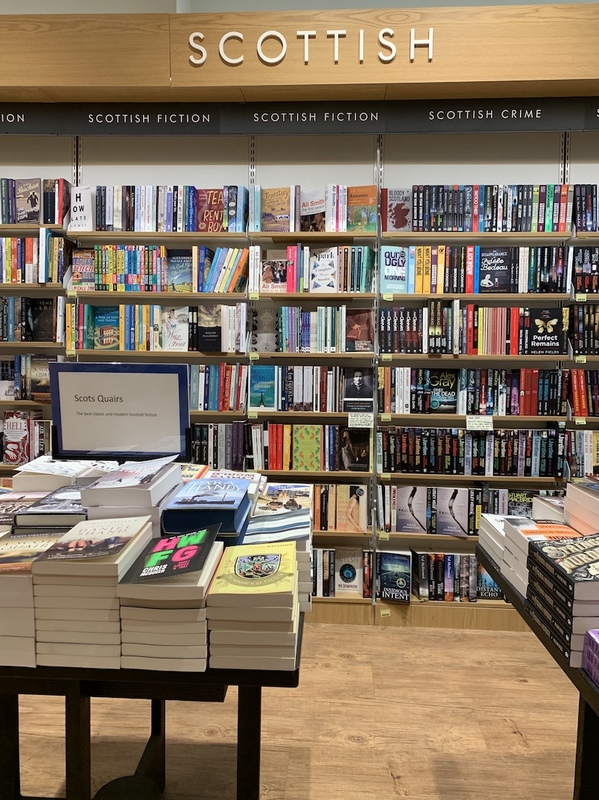 I’m a fan of the Scottish section on the main floor, with a selection of books by authors from Scotland. I bought a book to add to my Penguin English Library collection, Treasure Island by Robert Louis Stevenson (he was born in Edinburgh). And those beautiful Penguin English Library books. Blackwell’s is another bookshop company with stores across the UK. 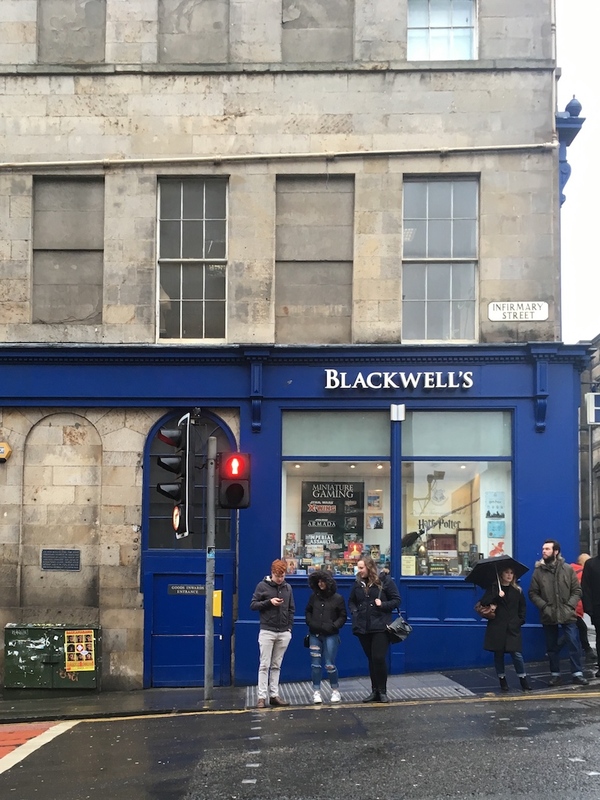 You can’t miss Blackwell’s blue facade at their Edinburgh location. 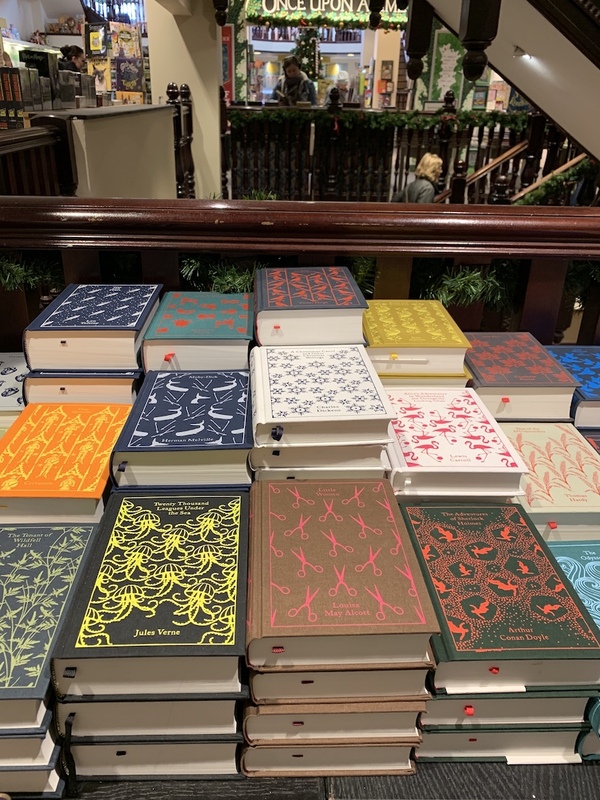 In terms of classics, there’s an entire corner dedicated to classic literature, including a few Penguin English Library editions tucked between other editions. 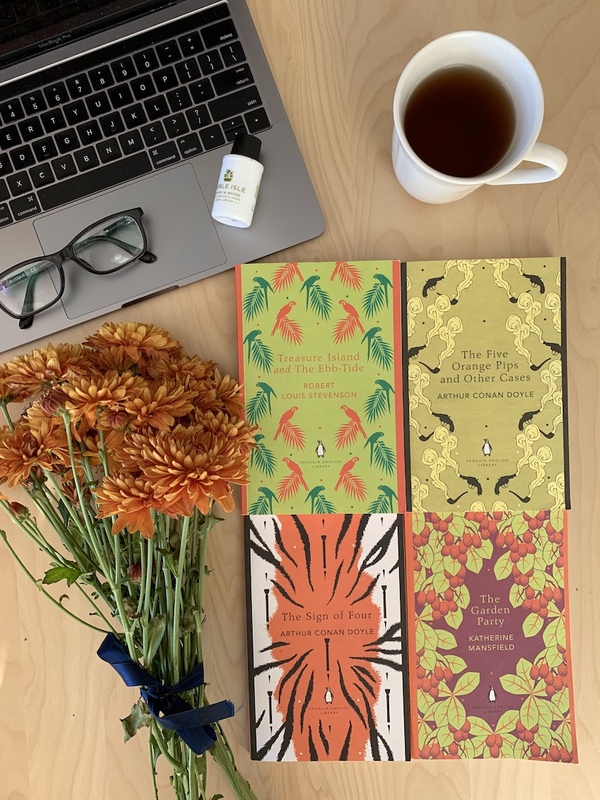 This company is a second hand bookstore recommended to me by a fellow bookstagrammer (a community of book lovers on Instagram) who told me they sometimes have out of print Penguin English Library books if you’re lucky. 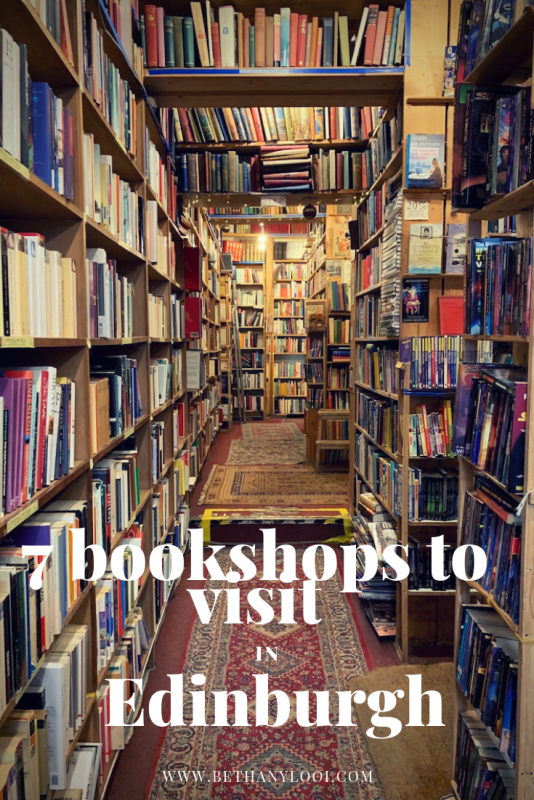 I went to two of their locations in Edinburgh in search for those Penguin English Library books. I found one at Oxfam Stockbridge, The Five Orange Pips and Other Cases by Arthur Doyle Conan (who was born in Edinburgh). 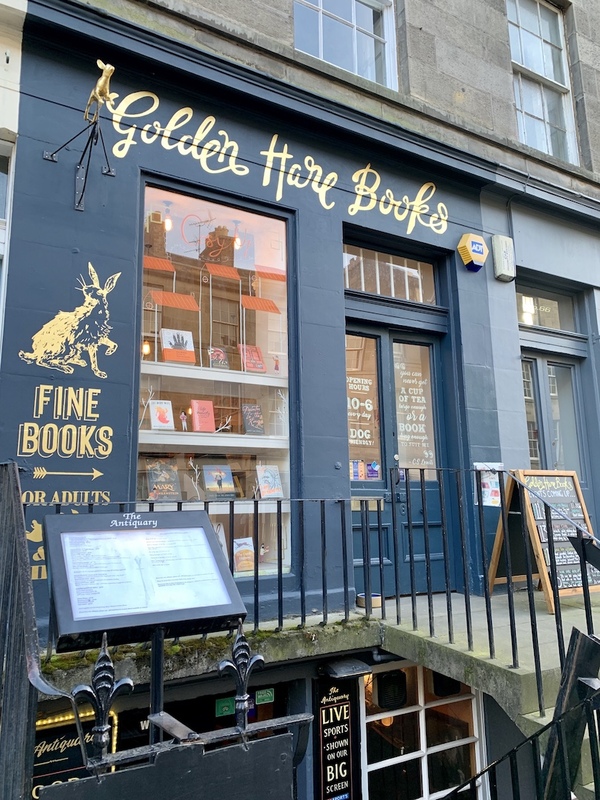 On my way in search of the photogenic Circus Lane, I stumbled across Golden Hare Books and am so glad I did. 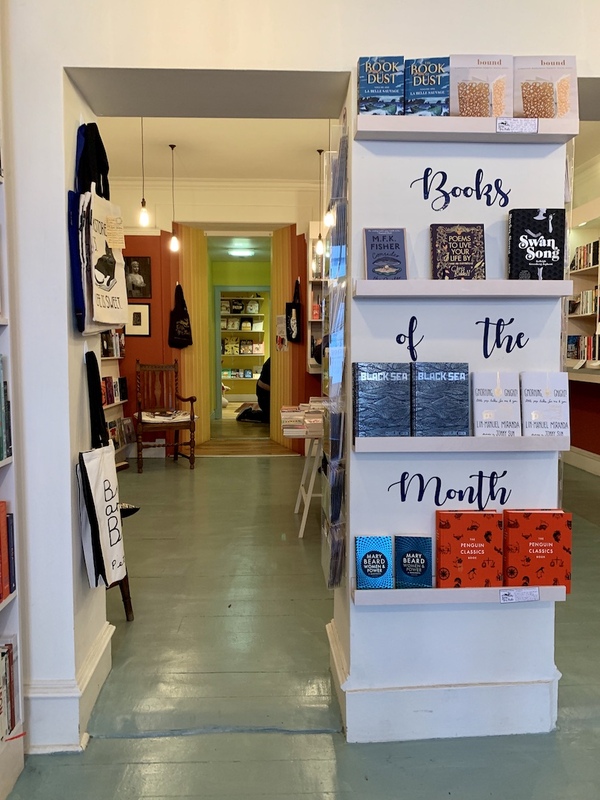 It’s a cute independent bookshop in Stockbridge that hosts many events and offers beautiful books. 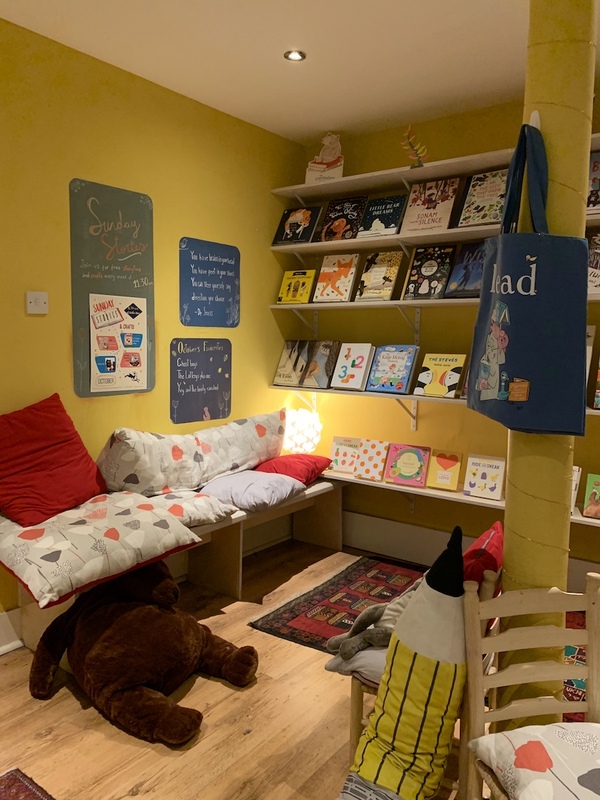 There’s a cute children’s area in the back of the shop. 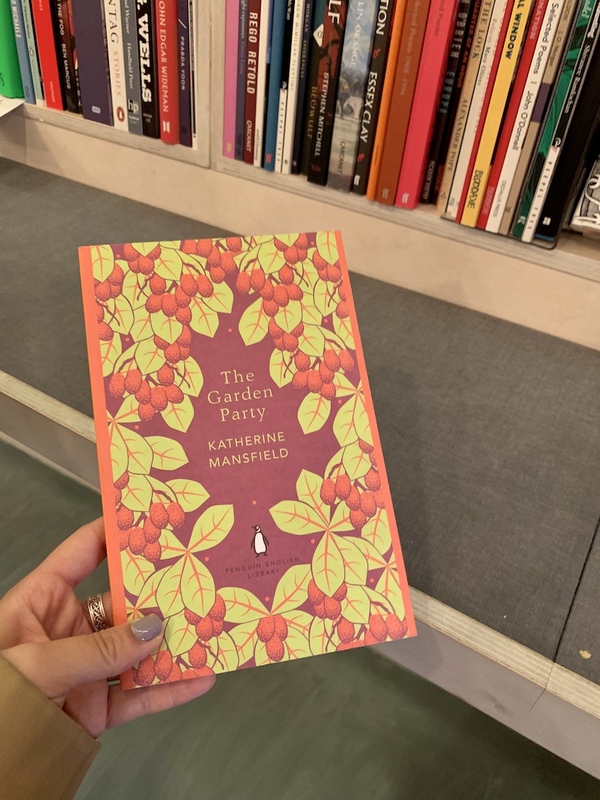 And I was so happy to have found one of the newly published Penguin English Library book, The Garden Party by Katherine Mansfield. She’s not a Scottish author, like all the other Penguin English Library books I got while in Edinburgh… but I wanted to support the independent shop, and I needed it for my collection. 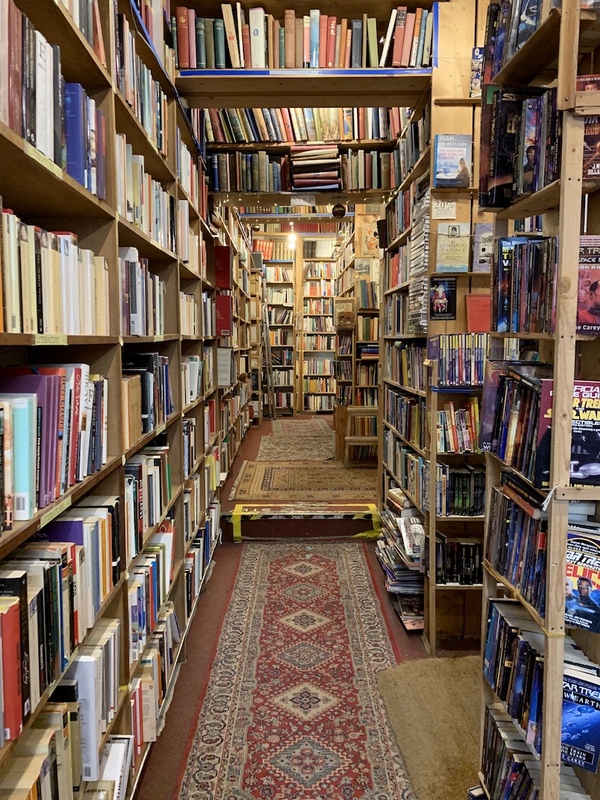 I saw this place on Instagram before my first trip to Edinburgh and that was the first bookstore I went to. 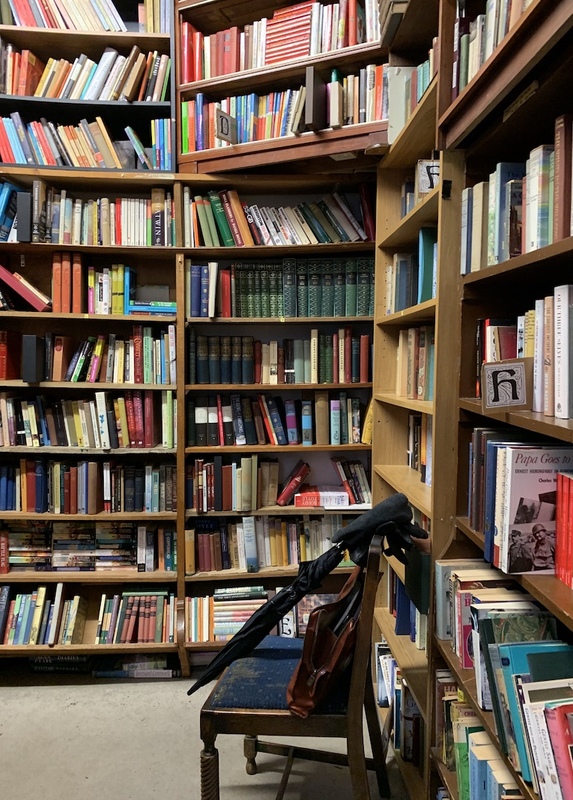 It’s a used bookshop, and the best part is the interior. 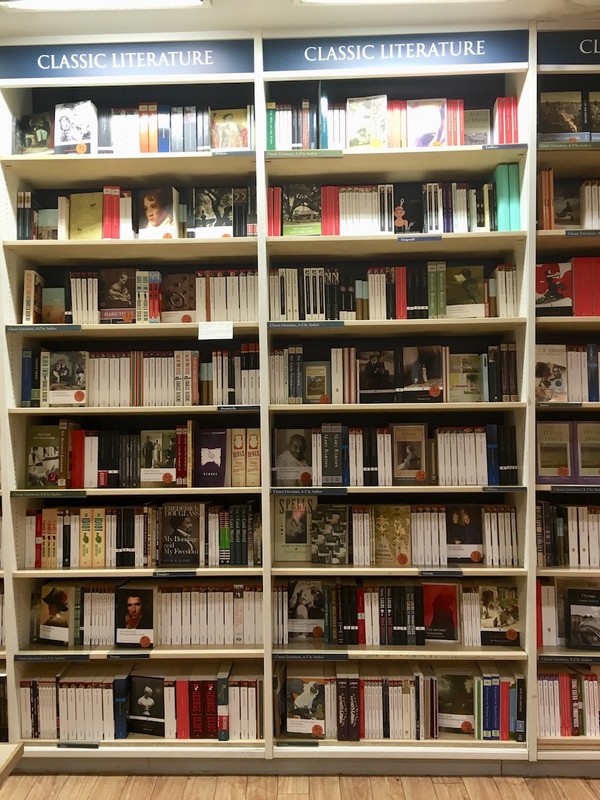 It feels like being in a cave of books. 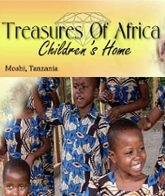 Last time I was there, I found a copy of The Secret Agent by Joseph Conrad. This time around, unfortunately after looking through every single book there, I left empty handed. But not really, because I did leave with a few great pictures. 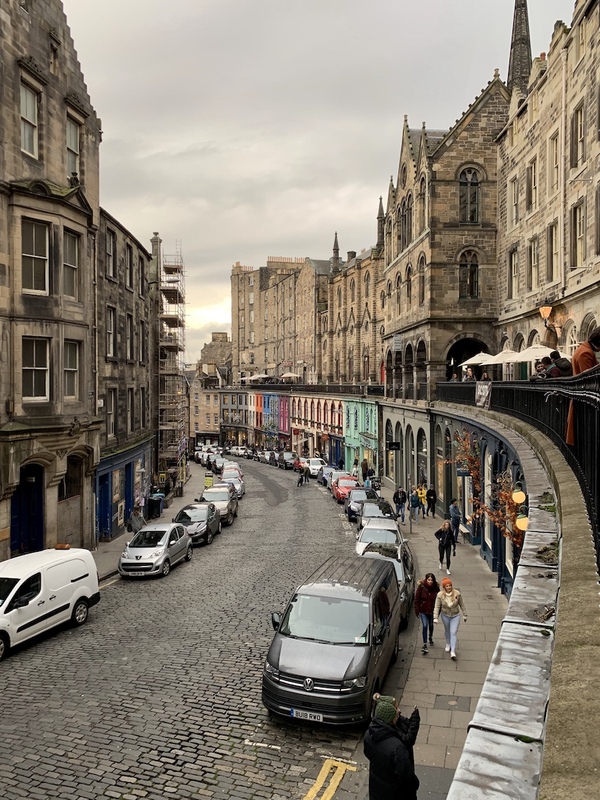 I realized on the last day of my second trip to Edinburgh in one year, I’d only taken pictures of Victoria Street from the bottom and top of the hill and hadn’t actually walked on the street. I remedied that by walking into a few shops. I bought a Christmas present for a family member at Walker Slater, and also came across John Kay’s Shop. There’s souvenirs and to my delight, Penguin English Library books. There was one copy left of The Sign of Four, also by Arthur Conan Doyle. 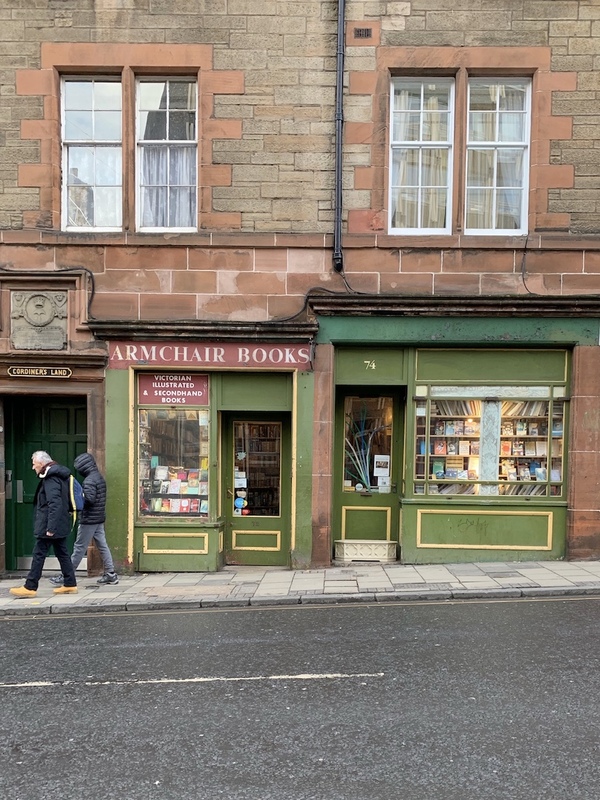 Another used bookstore in Edinburgh, Edinburgh Books is just down the road from Armchair Books. It also feels like being in a cave of books, just smaller. I found one Penguin English Library book with the original matte cover, Wives and Daughters by Elizabeth Gaskell, but I already have a copy of it.